Over 30 years experience with a spotless safety record. Complimentary Local Hotel Pickup. Imagine yourself floating through the air as the “Land of Enchantment” passes beneath you. 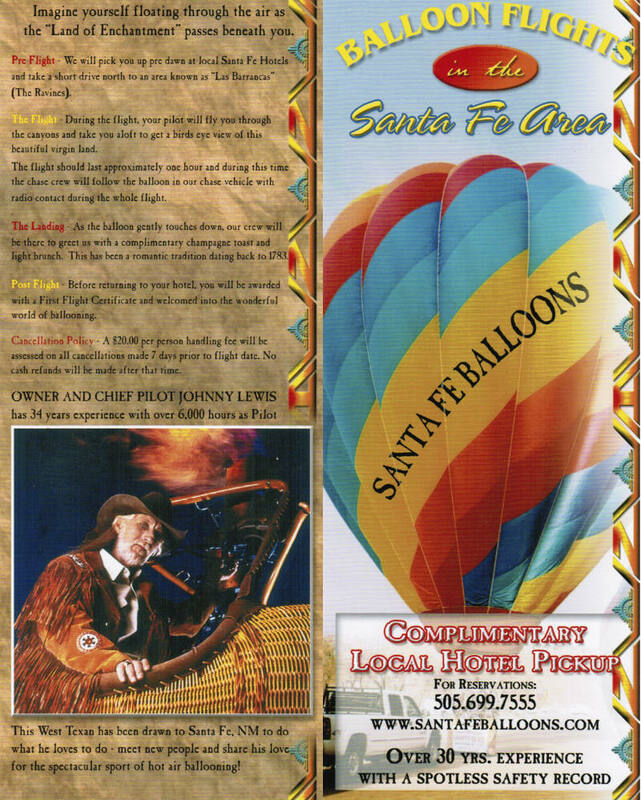 Balloon flights in the Santa Fe area with owner and pilot Johnny Lewis who has 34 years experience with over 6,000 hours as Pilot.